Tonight, I attended a special media preview of the extraordinary Holidays on Ice performance at Rosen Center on I-Drive, and Orlando is in for a treat with this one! Rosen is truly stepping it up a notch when it comes to quality, holiday entertainment this year, and Holidays on Ice is just the beginning. Visitors to Rosen Plaza, Rosen Shingle Creek, and Rosen Centre will have an assortment of holly, jolly festivities to choose from throughout the month of December. 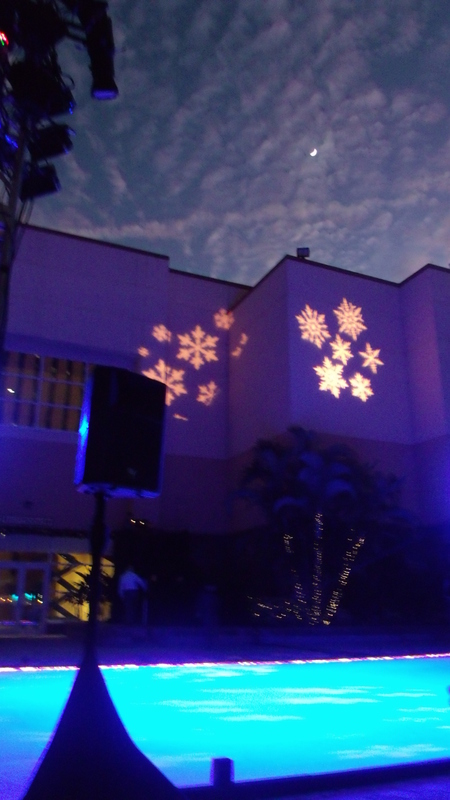 Saturday, December 6th, visit the Winterfest Beer Garden poolside from 5:00pm - 8:00pm. Sample a variety of craft and seasonal beers and International cuisine as you enjoy live entertainment and characters. There's even a special root beer garden for youngsters! Celebrate the eight nights of Chanukah with a Nightly Menorah Lighting in the lobby at 5:30pm. Fridays and Saturdays, from December 5-20, Rosen Plaza presents Jazz Nights at the Lobby Bar from 7:00pm - 10:00pm. 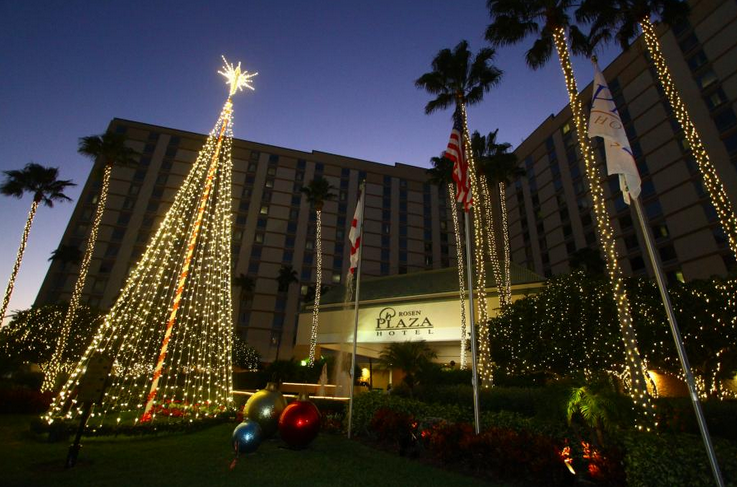 Rosen Plaza's Christmas Buffet will be offered from noon until 5:00pm on Christmas Day. For more information, pricing, reservations, and menus, please visit the Rosen Plaza Holiday Events page. Rosen Shingle Creek is the center for everything yummy this holiday season! Delight in the elaborate displays of local chefs and food artists in the Gingerbread Display and Competition in the main lobby from December 1-22 (judging December 18, from 5:00pm - 6:30pm). Or... enhance your own skills at Gingerbread University on Saturday, December 13 from 11:00am - 12:30pm. For more sweet treats, consider cookie decorating and chocolate making classes with Executive Chef David Ramirez on Saturday, December 20. Retro Rad Chef Emily Ellyn guides guests in hosting the perfect, retro holiday party on Saturday, December 13, from 4:30pm - 6:00pm. Local choir performances greet arriving guests in the main lobby from 6:30pm - 7:00pm on Thursdays December 4-18. Music enthusiasts will also enjoy the Big Band Dinner Show Series, featuring live vocal and orchestral shows on December 6 and 20, beginning at 7:30pm. Speaking of music, Rosen Shingle Creek is hosting a variety of dance performances as well. Every Saturday, from December 6-20, enjoy contemporary ballet and tap demonstrations by local dancers in the main lobby. 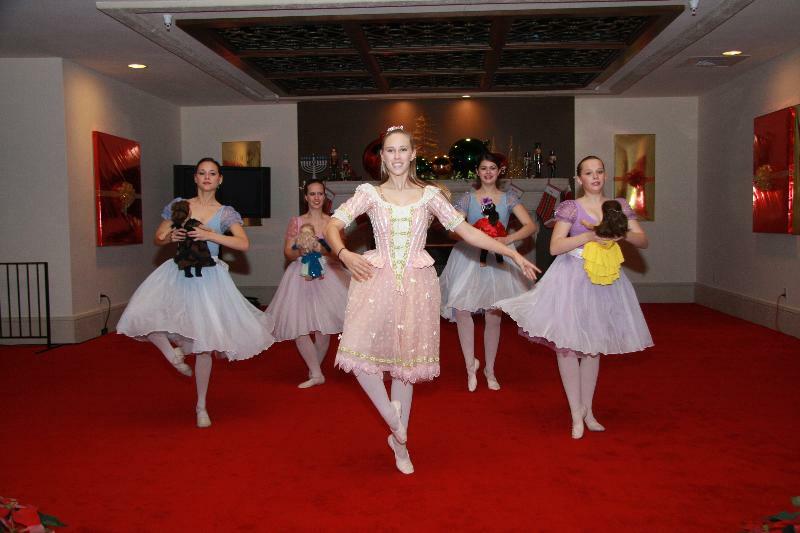 And on Fridays, don't miss Nutcracker ballet performances! On Sunday, December 7, take part in a traditional English tea service, along with a performance of The Nutcracker from 1:30pm - 3:30pm. Fridays and Saturdays, from December 5-20, have dinner with Santa Claus at Cafe Osceola from 5:30pm - 8:00pm. Dinner includes a gift, which children will wrap at a well-stocked wrapping station. Also on these weekends, don't miss the fun as Rosen Shingle Creek transforms into a bustling Winter Wonderland from 6:30pm - 9:30pm, where Mrs. Claus awaits visitors for storytelling, movies, rides, and so much more. Rosen Shingle Creek's Christmas Buffet will be offered from 11:30am - 7:00pm on Christmas Day. For more information, pricing, reservations, and menus, please visit the Rosen Shingle Creek Holiday Events page. Rosen Centre proudly welcomes Ice Creative Entertainment's Holidays on Ice for its first-ever holiday residency at the resort. This poolside ice skating show features 45 minutes of individual, couples, and group skate displays set to a slew of traditional classic holiday tunes, as well as modern originals - with a few comedic skits and a plethora of wardrobe changes for good measure. Color-changing lights and projections enhance the performance, which is uniquely choreographed for this event. On Sunday, December 14, have lunch with two of the Orlando Solar Bears hockey players, as well as the team mascot from 11:30am - 2:30pm. After lunch, take to the ice yourself for some skating! Fridays and Saturdays, from December 5-19, have dinner with Santa Claus at Cafe Gauguin from 5:00pm - 8:00pm. After dinner, Santa will remain on-hand to assist children in their wish list letter writing. On Saturdays and Sundays, December 6-14, Santa joins the Rosen Centre chefs to teach guests the fine art of Cake Pop Decorating, from 11:30am - 1:00pm. Rosen Centre's Christmas Holiday Brunch will be offered from 11:00am - 5:00pm on Christmas Day, followed by a special ice skating performance at 6:00pm. For more information, pricing, reservations, and menus, please visit the Rosen Centre Holiday Events page. 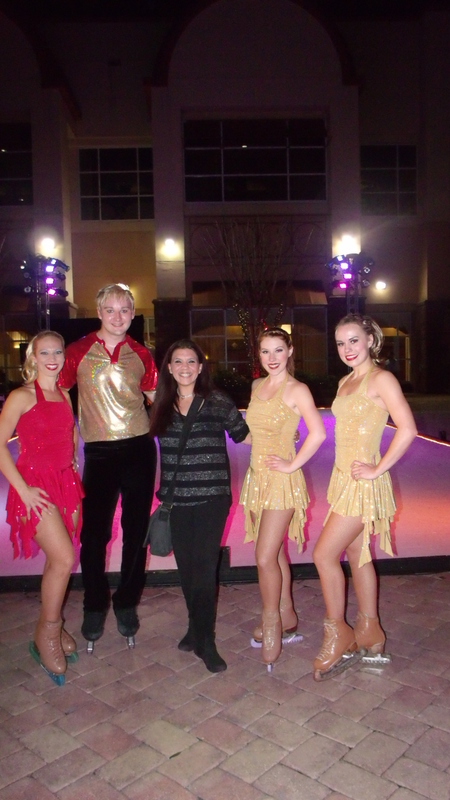 Nowhere else in Orlando can you find an event quite like Rosen Centre's Holidays on Ice. To have quality performance of this caliber right in the heart of I-Drive puts the Rosen Resorts front and center for top holiday experiences here in Orlando this year. This is undoubtedly worthy of becoming a new holiday tradition - for visitors and residents alike.